You must be 21 years of age to enter the facility, unless accompanied by a Parent or Guardian. Anyone under the age of 21 is considered a minor. Minors are only allowed in Food and Beverage Outlets when accompanied by Parent/Guardian. Minors are not allowed to attend any Concert/Entertainment venues in Club 88. Minors cannot be left alone anywhere on property for any reason. 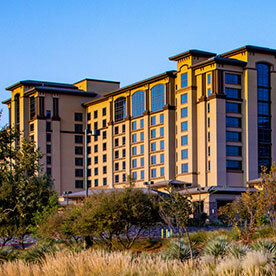 Any questions about the Minor Policy can be directed to the Vice President of Security during normal business hours at 1-800-452-8181, or by writing to the Vice President of Security at: Cache Creek Casino Resort, P.O. Box 65, Brooks, Calif. 95606.